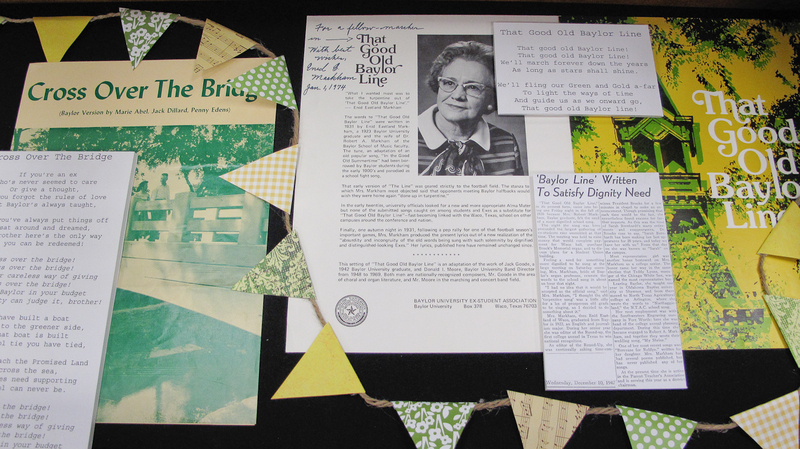 The Texas Collection presents Baylor Homecoming Traditions, an exhibit featuring homecoming and football memorabilia from Baylor's past. 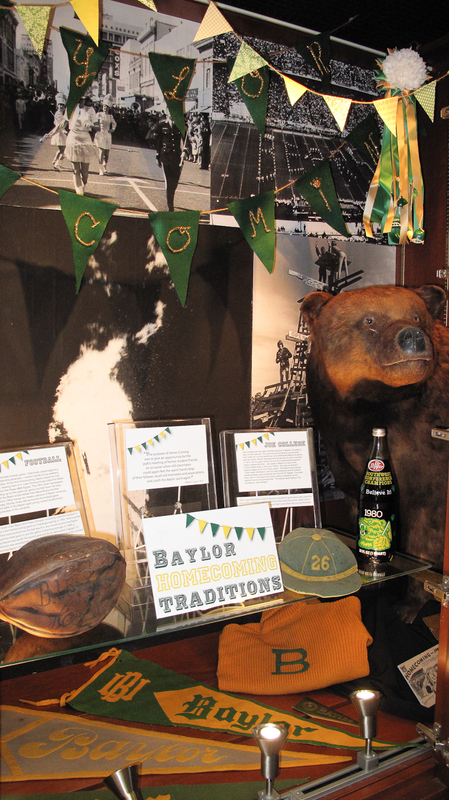 The main display case holds the shoulder mount of Joe College, one of Baylor's most famous mascots from the 1930s who was responsible for Sic 'Em. 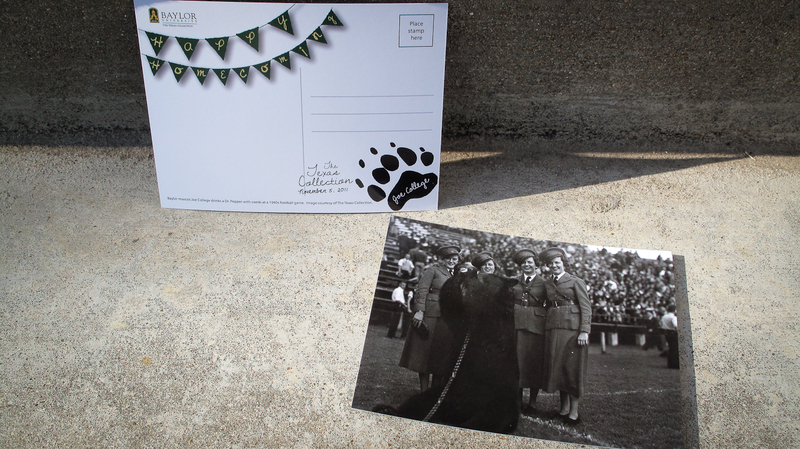 It also features the original Homecoming football from 1909 and other memorable homecoming items. 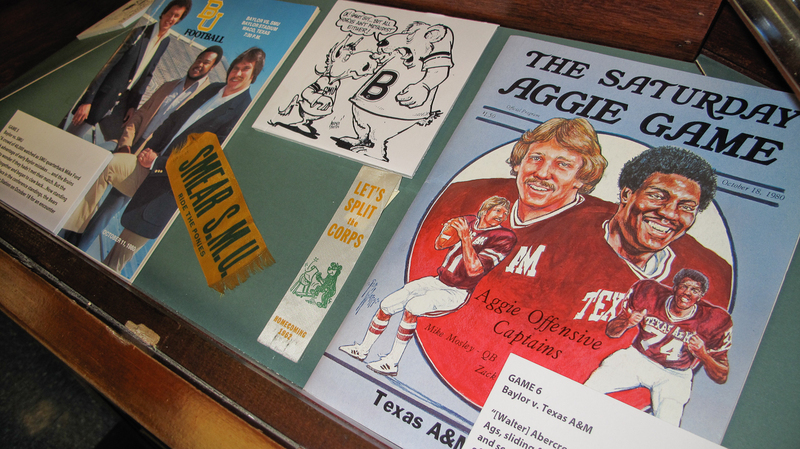 The Reading Room displays football programs from the legendary 1980 season, as well as music and lyrics to various Baylor songs - some of which most people have never before heard. 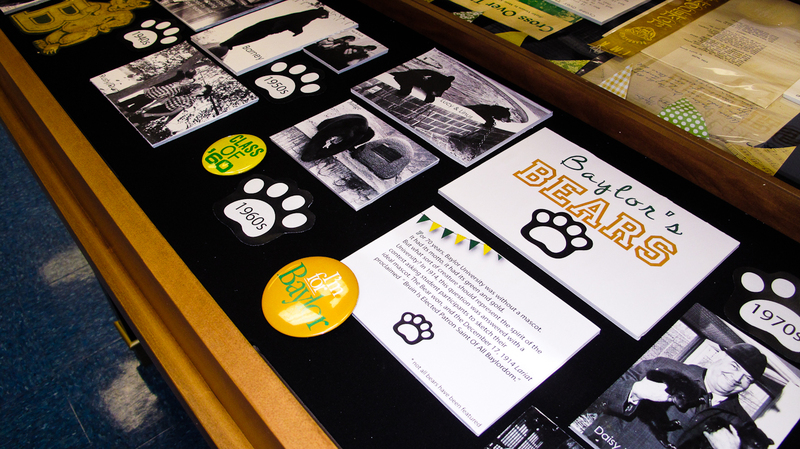 The Reading Room also showcases images of some of Baylor's mascots from the 1930s to the 1990s. Stop by The Texas Collection through January 2012 to see this wonderful exhibit - all visitors will receive a souvenir Joe College postcard! A special thanks to the Mayborn Museum for the use of Joe College and other items.